She says she wanna take her skirt off. Be my guest! I decided to take my shirt off and show my chest! Going nowhere fast. We've reached the climax. Hey girl, I'm debating if I should take you home. Should I take you home? I don't mean to keep you waiting but I just gotta know If you're ready. You say it's better if we love each other separately. I just need you one more time. I can't get what we had out my mind. Ursher, baby. Yeah. Did it again and this time I'mma make you scream. 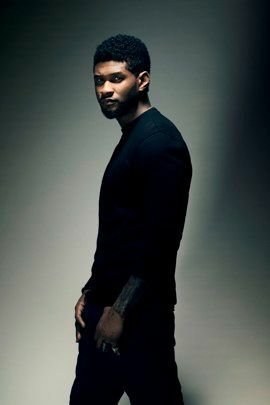 Usher...Yeah man. We're together, now we're undone. Won't commit so we choose to run away. Do we separate? Don't wanna give in so we both gave up. Can't take it back, it's too late, we've reached the climax. Climax. Get you goin' like ooh baby baby, ooh baby baby. Ooh baby baby, ooh baby. And we've been sipping on that Merlot. So you know what's next. Working intermissions, switching positions. We so explicit, oh. I'mma make you scream out. La da, scream Usher, la da La da la da la da da da da. Hey, somebody scream Mama Mia! New Updates! (4/23/2019) We've been working really hard on completing our membership system so you can submit quotes and keep track of them. Once this is complete in the coming weeks there will be a lot more quotes by Usher and other authors. We've also changed the sorting on the site so you now see the latest Usher quotes first. Our goal is to have the best Usher quotes on the web!